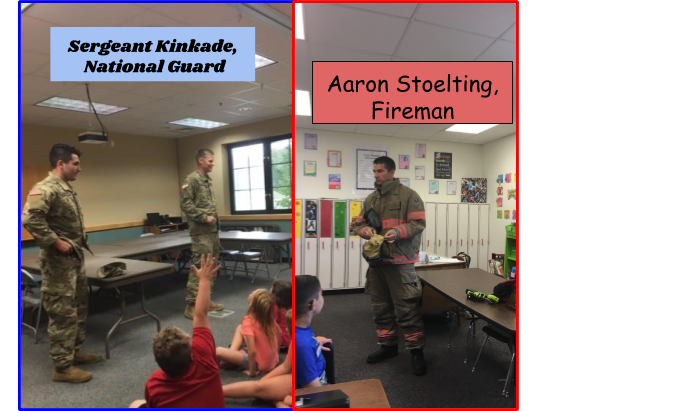 Mrs. Stoelting's 3rd Grade Class Welcomes "Career People of the Day" ! After the visitors came, each student chose a career they would like to have. They researched their career and made a slideshow with facts and then a poster. Dr. Seuss week for Pre-K,K, and 1st grade. Our safe and friendly school is a family of leaders who respect, serve, and inspire greatness in everyone. Selfie from the third grade holiday program! Mr. Jennings' 5th Grade Class at the CANDLES Museum in Terre Haute. It was a very educational experience that the kids will always remember.